Sometimes being a perpetual tourist is a strange thing. Find a landmark, pose, take a picture, and repeat. If you're sick of looking at photos of us, trust us, we know the feeling. Having said that, we do love going back, looking at our past trips and reminiscing. These snapshots serve as a visual aid to jog our memories. They did a better job of posing than we would have anyway. 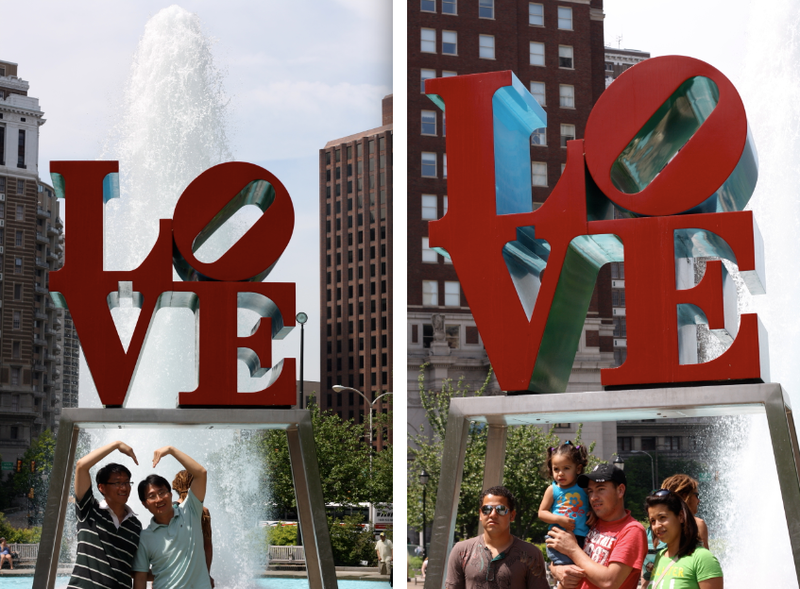 I love the idea of taking photos of other tourists, haha. you both have a LOVE-ly weekend as well!! 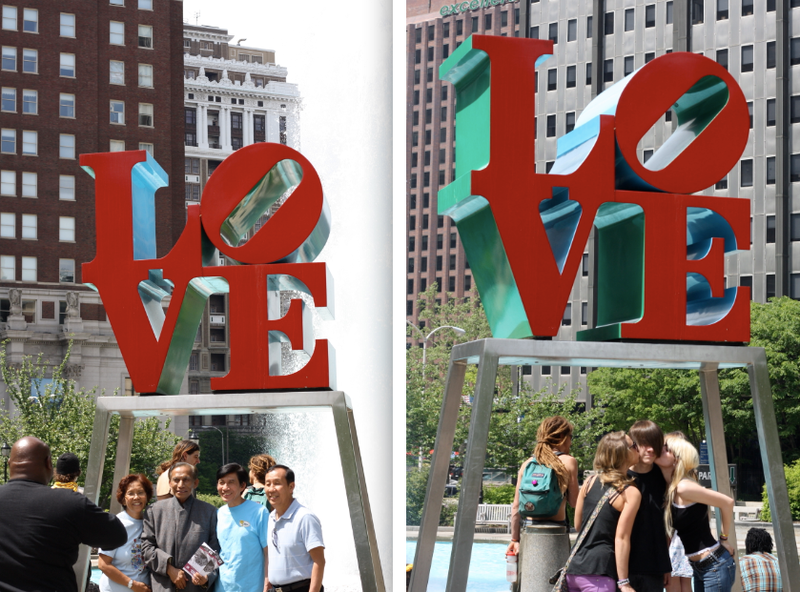 Just photoshop your head on one of those LOVE-ly tourists. I suggest the two making the arm heart. leave it to the youngsters to have the cutest pose! i love this sweat free entertainment. nice twist! ROAD trip U.s.A! holla. make sure to get a philly cheese steak. you will LIKE it. i think it's cute!! sometimes you just gotta be a tourist, no matter how sick it makes you! ha! Hmm. 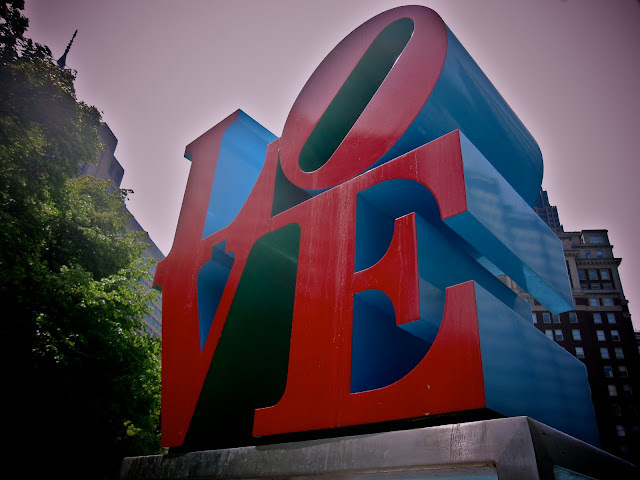 I love Philly. Really. Great city.